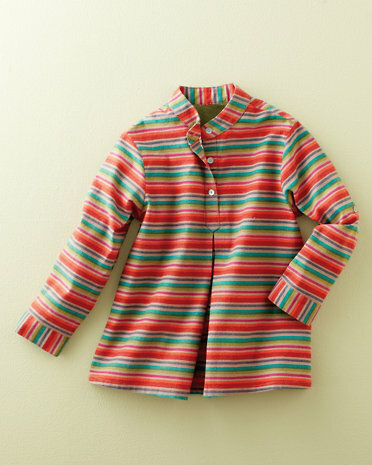 This eye-catching brushed cotton top from Garnet Hill is on sale for just $14 (full price is $39). Unfortunately, shipping is not free right now at Garnet hill, though this unusual top might be worth a little extra for shipping. When I last checked, it was available in sizes 7-12.